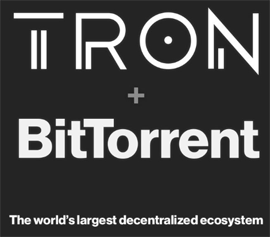 Ever since BitTorrent Inc. was acquired by the TRON foundation, people have been asking what the cryptocurrency outfit intends to do with the file-sharing giant. A new announcement by TRON founder Justin Sun shines a little more light on the end game – democratizing and decentralizing the Internet – but like Rome, Sun’s baby won’t be built in a day. Or a decade. Back in May, TF broke the news that Justin Sun, the entrepreneur behind the popular cryptocurrency TRON, was in the process of acquiring BitTorrent Inc.
Two months later, BitTorrent Inc. and the TRON Foundation confirmed the acquisition. “With this acquisition, BitTorrent will continue to provide high quality services for over 100M users around the world. We believe that joining the TRON network will further enhance BitTorrent and accelerate our mission of creating an Internet of options, not rules,” BitTorrent Inc. said. TRON’s Justin Sun added that the acquisition of BitTorrent supports his foundation’s goal to decentralize the web but more concrete details beyond this vision have proven elusive. The entrepreneur has mentioned the possibility of rewarding BitTorrent seeders but that raises even more questions. This week, in celebration of TRON’s US and China teams meeting up for the first time, Sun dangled some additional information on why the acquisition took place and what TRON’s plans are for the future. “Contrary to speculation, the main reason for the acquisition isn’t BitTorrent’s more than 100M active users, and it isn’t for an amazing commercial opportunity,” Sun said. Following a short history lesson on Web 1.0 through to today’s Web 3.0, Sun highlighted BitTorrent achievements in the decentralized arena, one which enabled people to envision a totally decentralized Internet in the future. However, “profit-focused” companies like Google, Apple, Facebook, Amazon, and Netflix eventually stepped in with models that only served to further centralize the Internet. “The mistrust in centralization naturally results in a public reaction where people are expecting government intervention to monitor big tech companies. However, history itself has been telling us repeatedly that the involvement of a more centralized power will only worsen the problem,” Sun said. Unlike most standard apps used by people today (such as those used to access Facebook etc), ‘DApps’ – decentralized apps – are software applications that run on the blockchain. While the former access and provide data for centralized systems, the latter use the decentralized resources of other network users. Sun wants TRON to become the largest decentralized Internet ecosystem in the world and this week offered four promises in respect of the TRON/BitTorrent partnership. 1. We will develop the TRON Protocol and make sure it grows to be the largest and the most dynamic blockchain protocol in the world. 2. We will develop the BitTorrent Protocol and its applications to guarantee BitTorrent’s dominance in global decentralized content distribution. We will also work to optimize the BitTorrent Protocol with blockchain technology. 3. We will explore and develop other decentralized Internet protocols, in areas such as decentralized storage and cloud computing. 4. We will develop a series of decentralized apps based on decentralized protocols, so that everyone in the world can enjoy decentralized Internet services. But for those wanting a slice of exciting decentralized cake today, it may be wise to put on a pot of coffee – after first planting and then growing the beans several times over. “This is a long-term mission which will take 10 to 20 years to complete. I’m 28 now. I will devote my whole life to the revolution of Internet decentralization,” Sun says. We’ll have an update in 2028, see you then. THE BEST ANDROID PHONE OF THE YEAR – OnePlus 6 GIVEAWAY TIME !! THE ULTIMATE TECHNIQUE FOR FREE LIVE TV, FREE SATELLITE, FREE CABLE !! FACEBOOK BAN KODI BOXES, WHAT THE F#%K ARE YOU DOING?